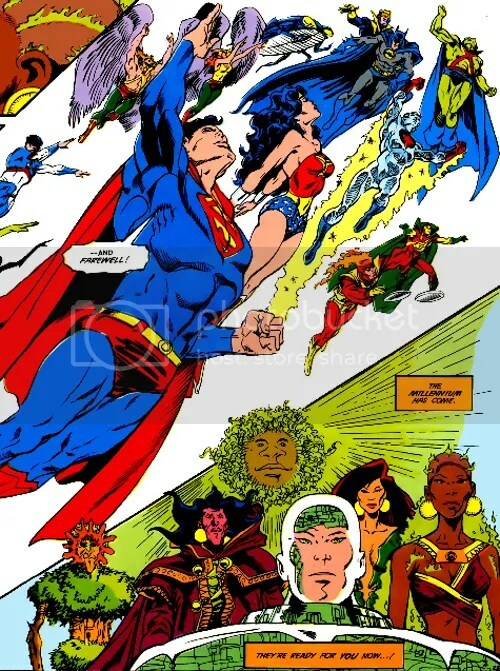 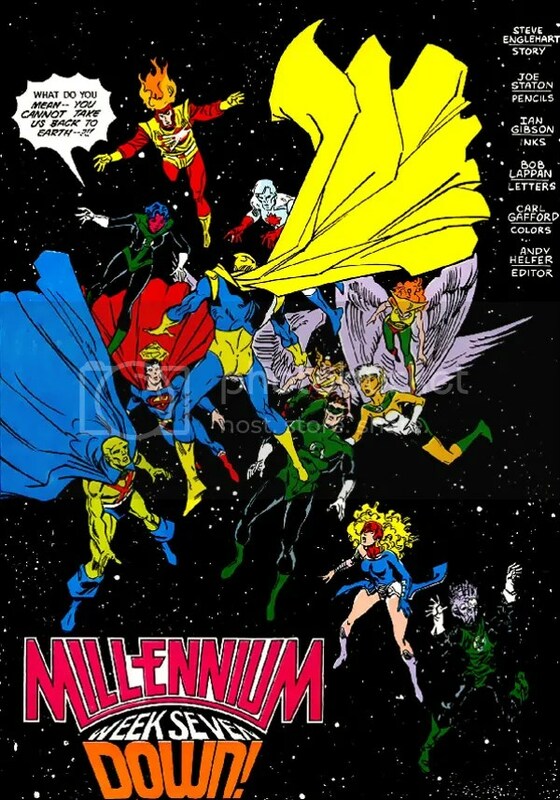 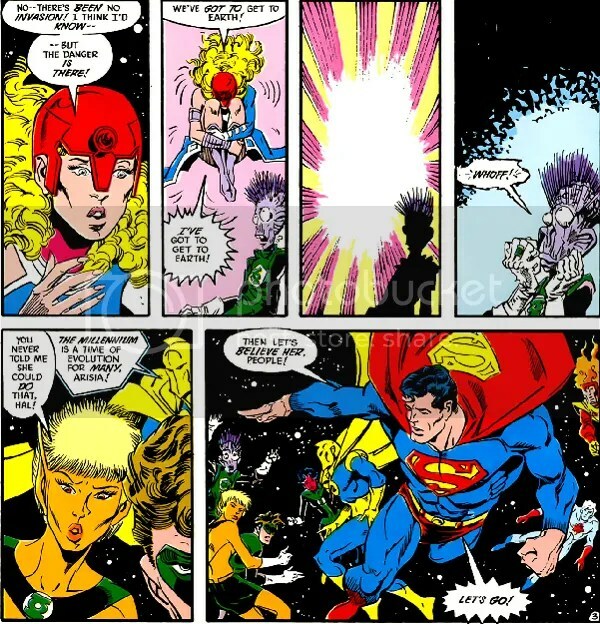 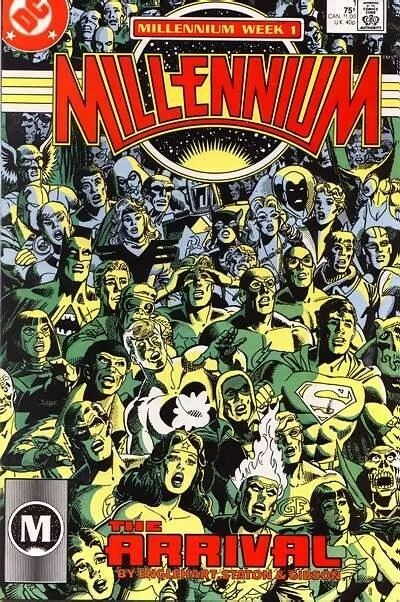 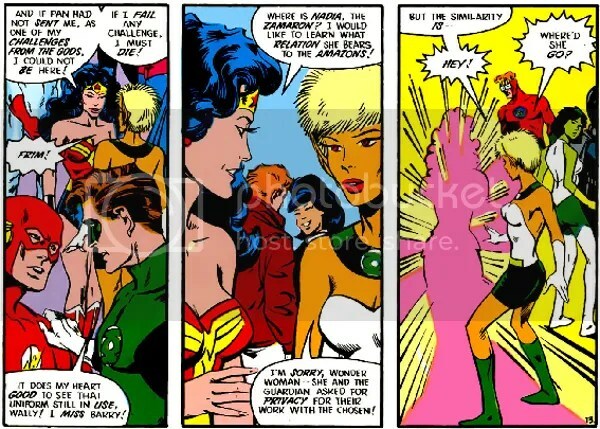 Millennium was a comic book crossover event that ran through an eight-issue, self-titled, limited series and various other titles cover dated January and February 1988. 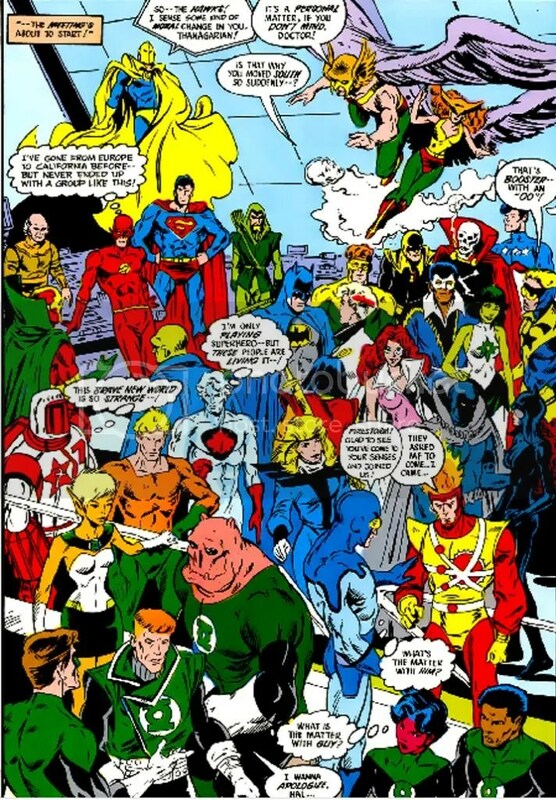 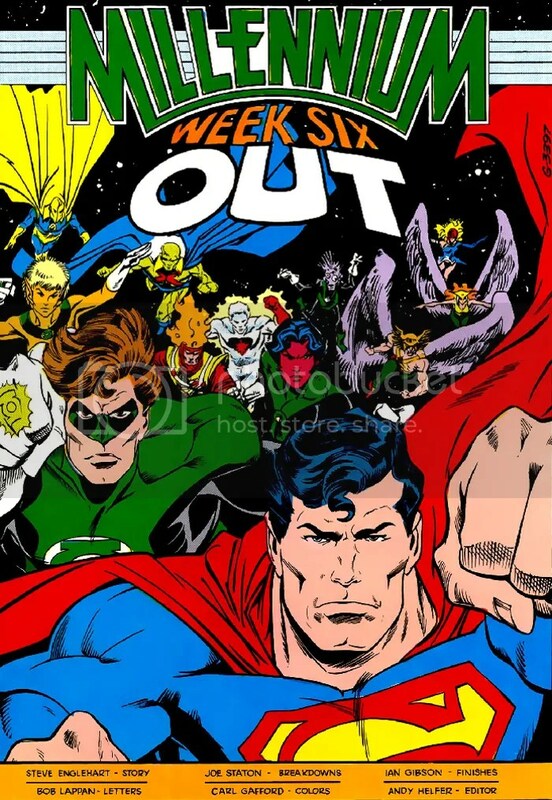 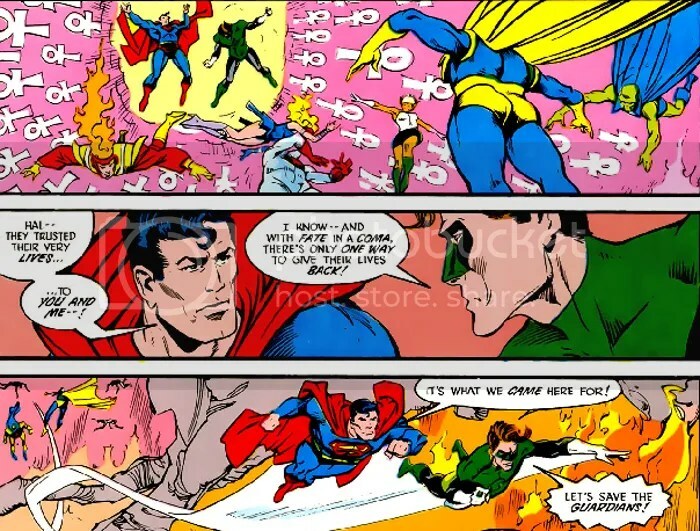 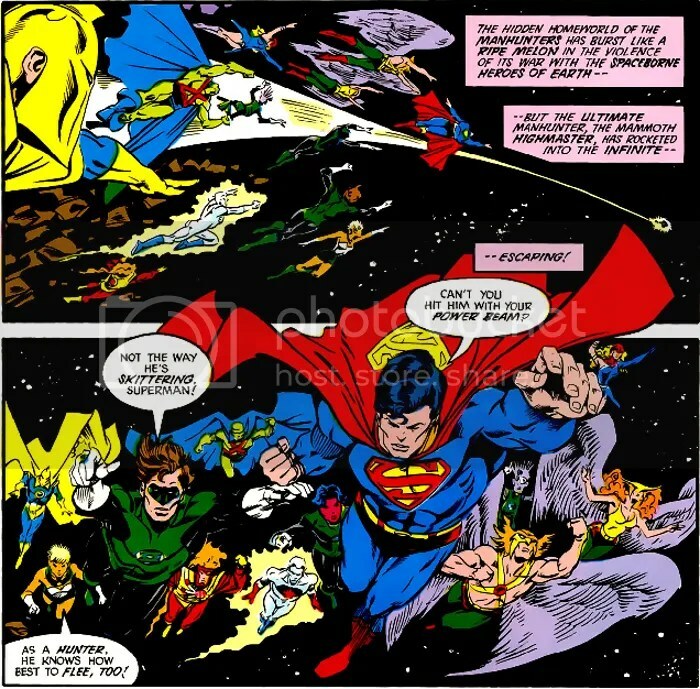 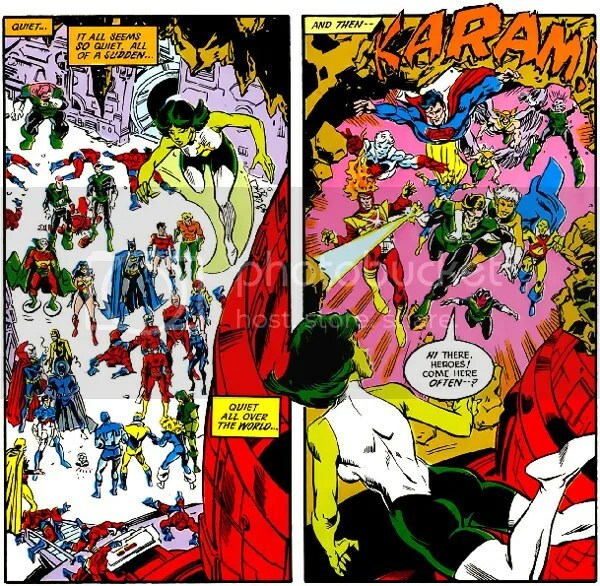 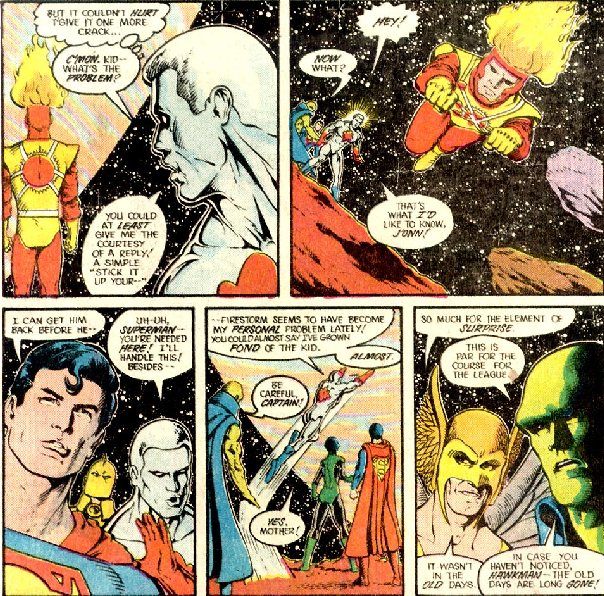 The limited series was published weekly and was written by Steve Englehart, and with art by Joe Staton and Ian Gibson. 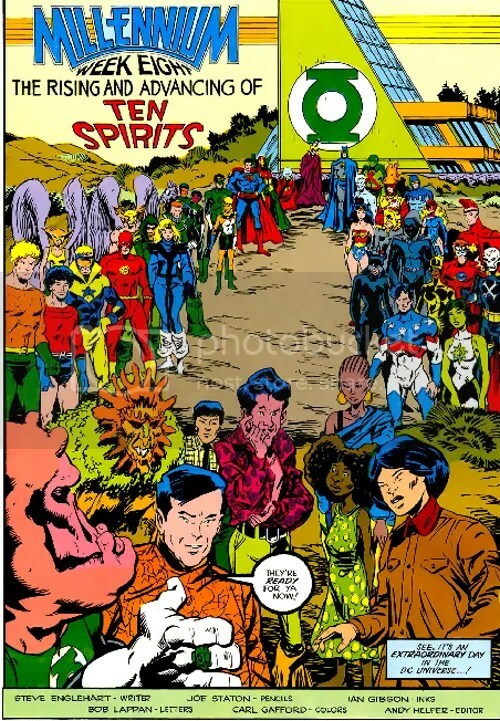 Guardian of the universe Herupa Hando Hu, and his Zamaron mate, Nadia Safir, traveled to Earth and announced to the world that they would select ten people who would become the new Guardians of the Universe, and give birth to a new race of immortals. 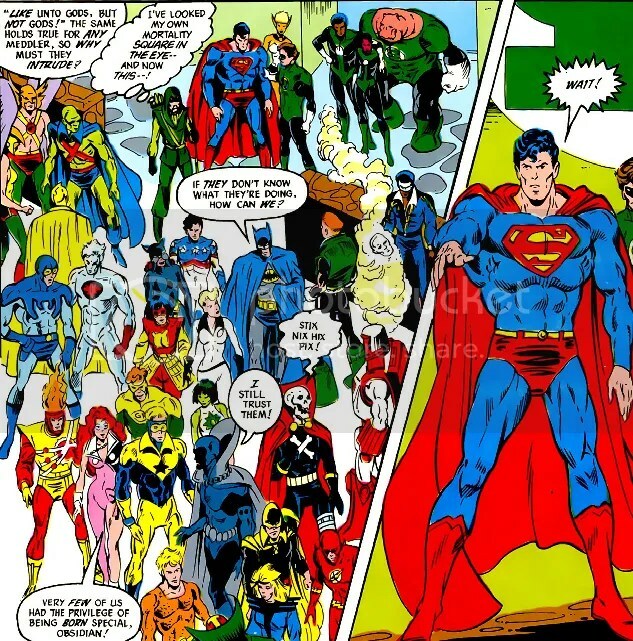 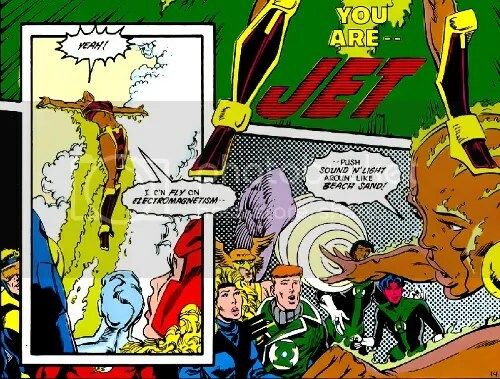 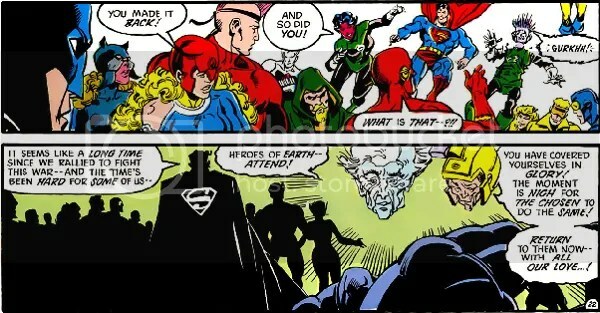 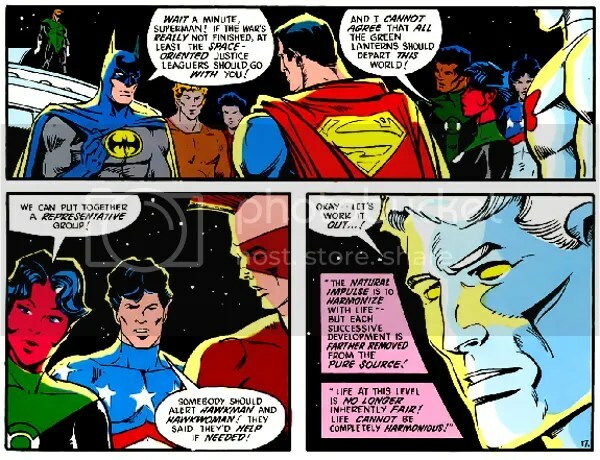 They gathered Earth’s superheroes and sent them to find the chosen persons, who came from various parts of the world. 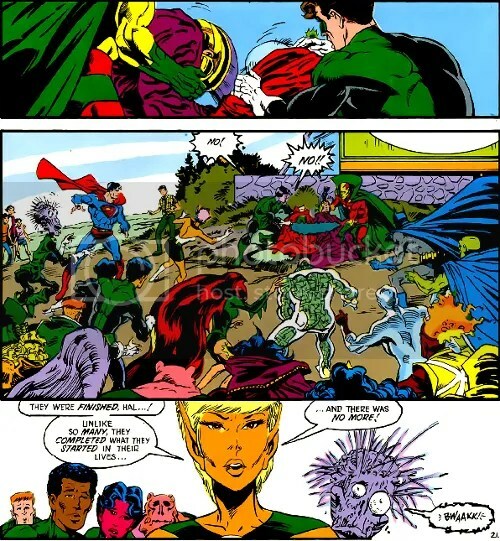 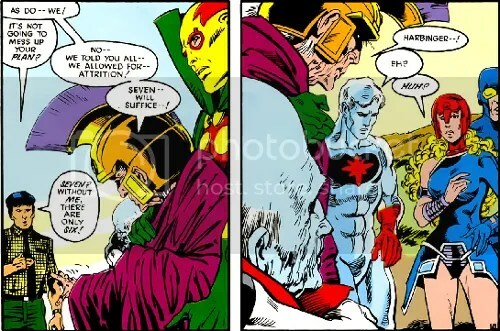 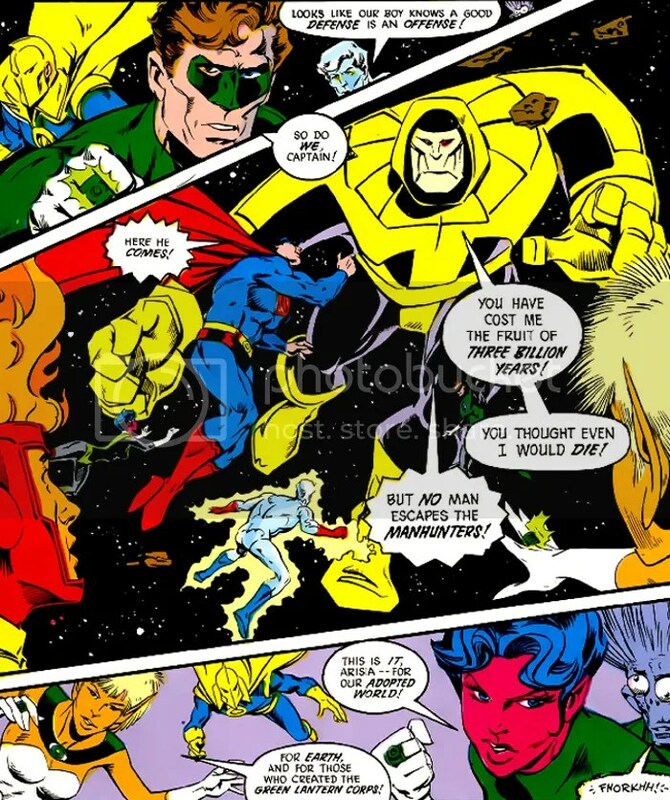 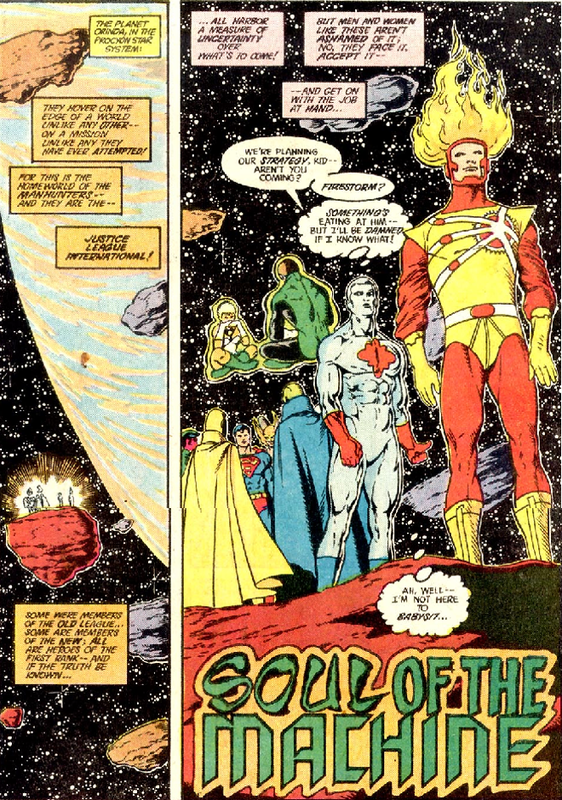 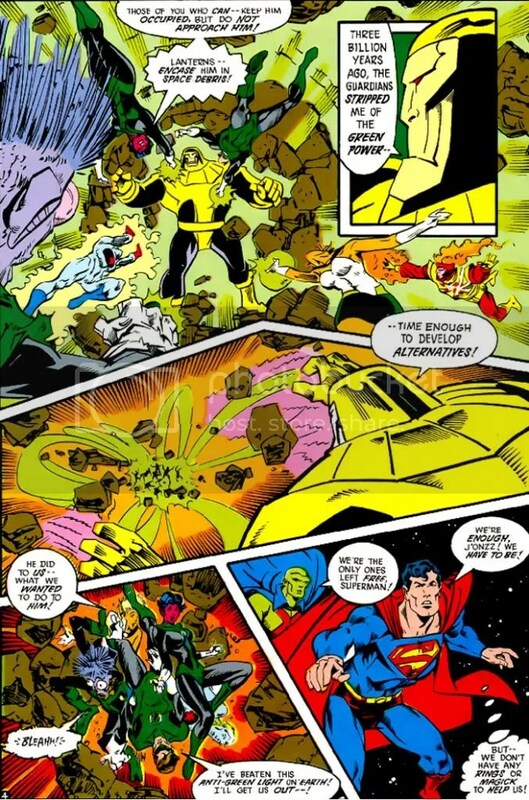 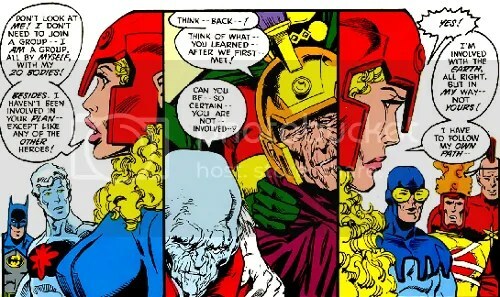 The robotic cult known as the Manhunters (precursors to the Green Lantern Corps) had found a sphere that Harbinger had used to store all the information she had gathered about the universe after the Crisis on Infinite Earths. 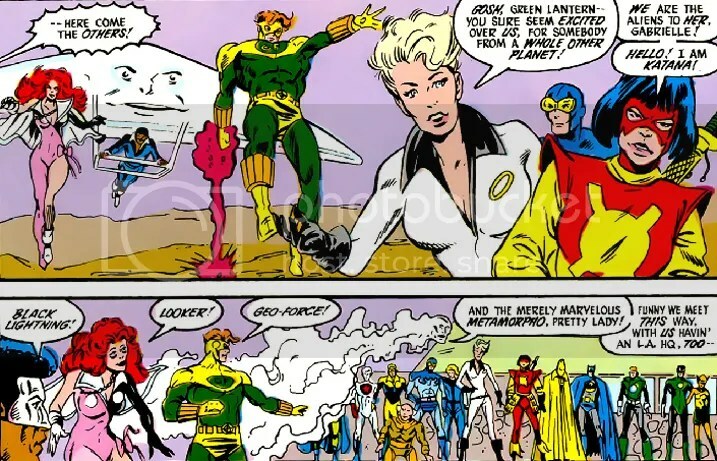 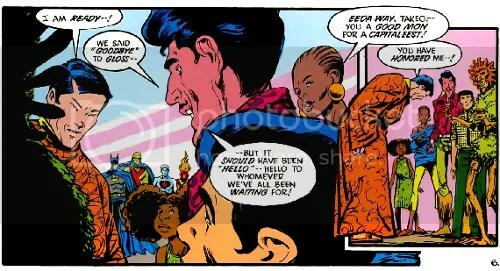 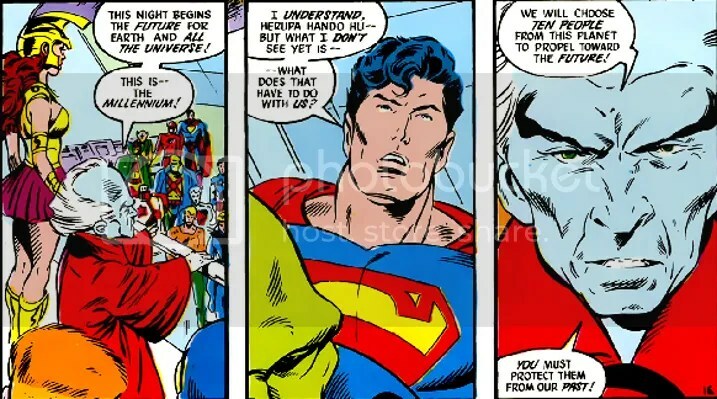 Because of it, they knew the secret identities of Earth’s heroes, and had planted their agents (including androids, willing human agents, and mind-controlled ones) close to them. 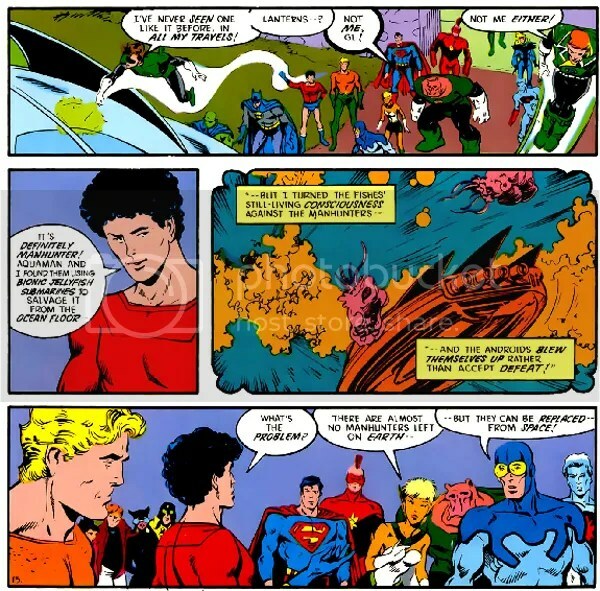 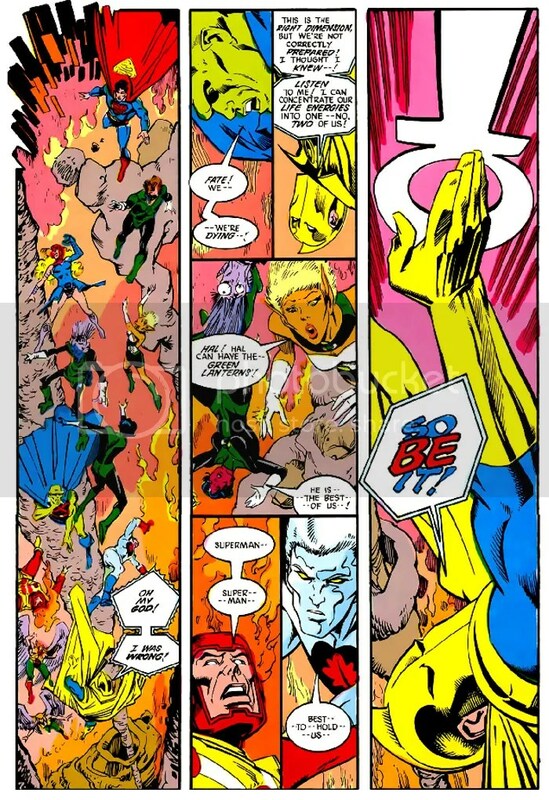 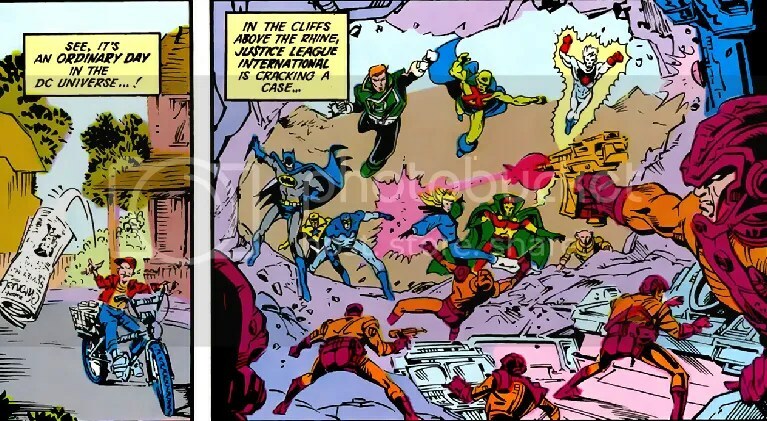 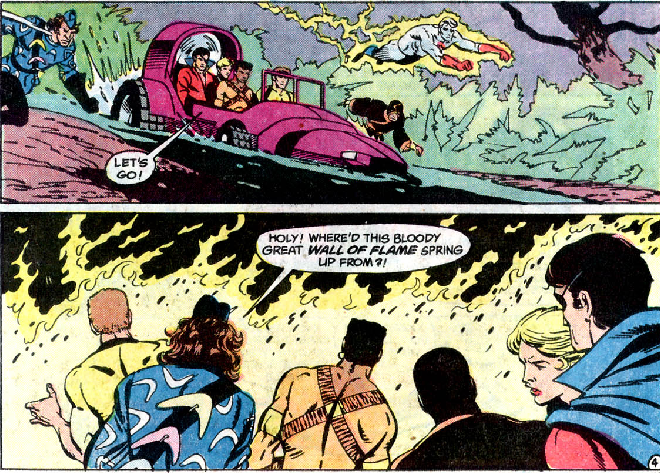 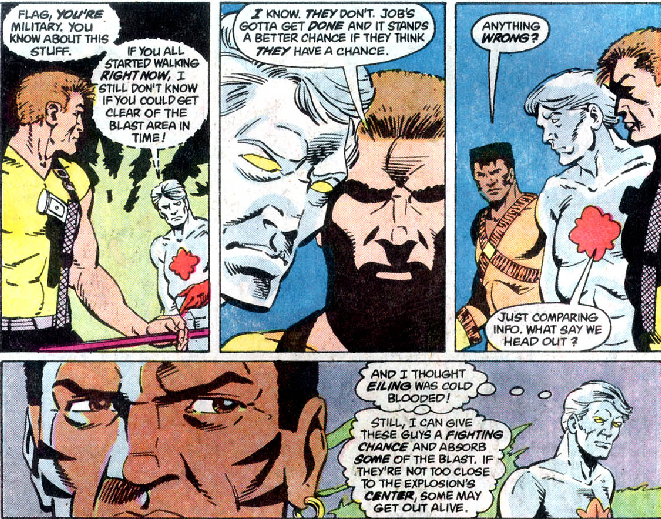 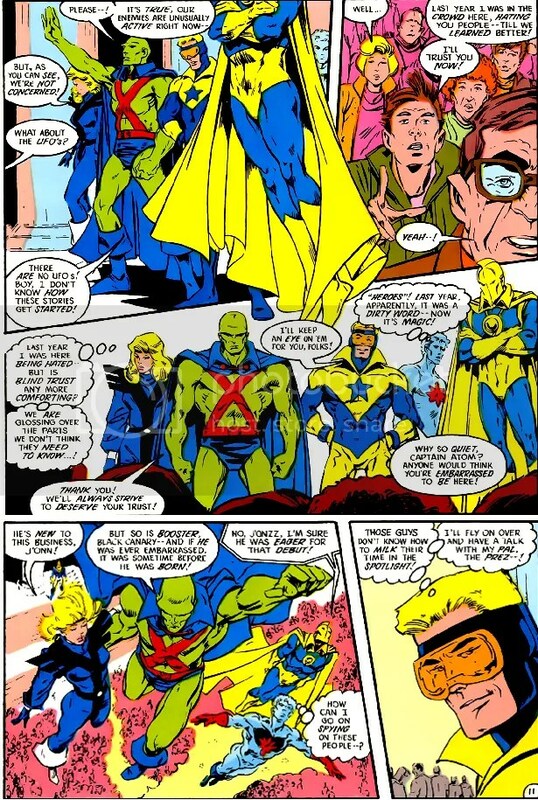 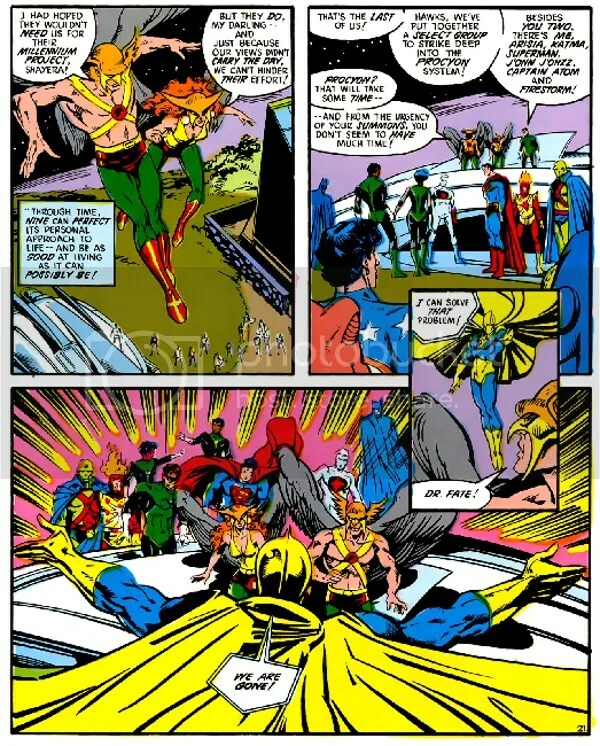 On finding out about the search for The Chosen, the Manhunters decided to prevent it, and had their agents reveal themselves and attack the heroes. 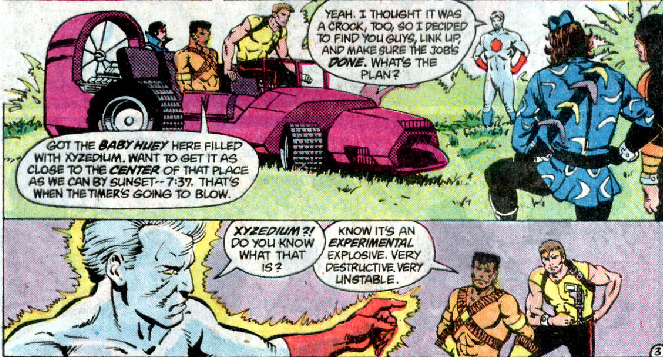 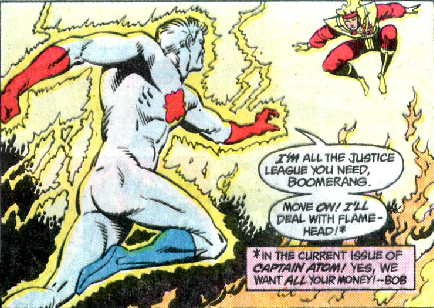 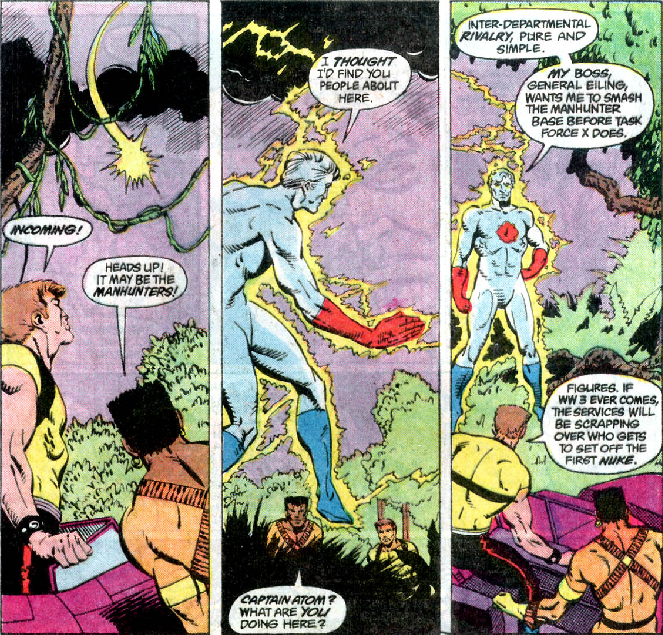 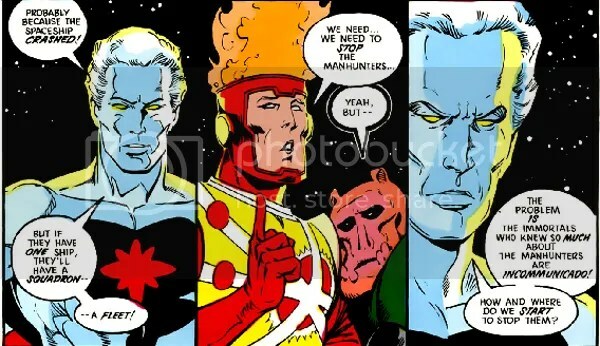 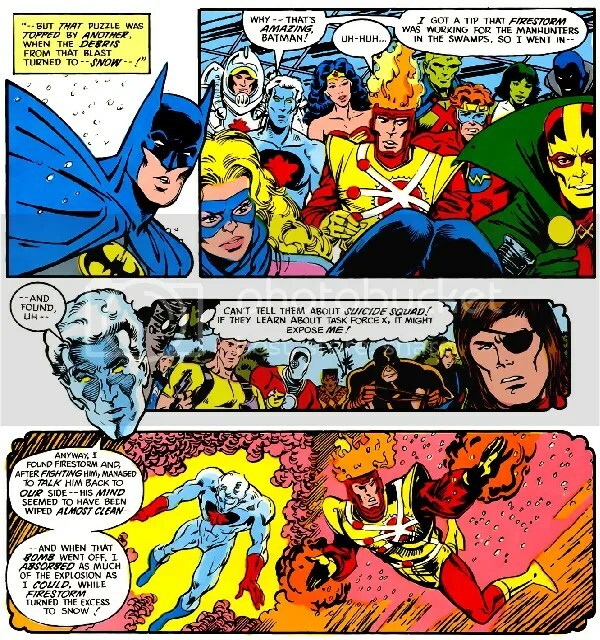 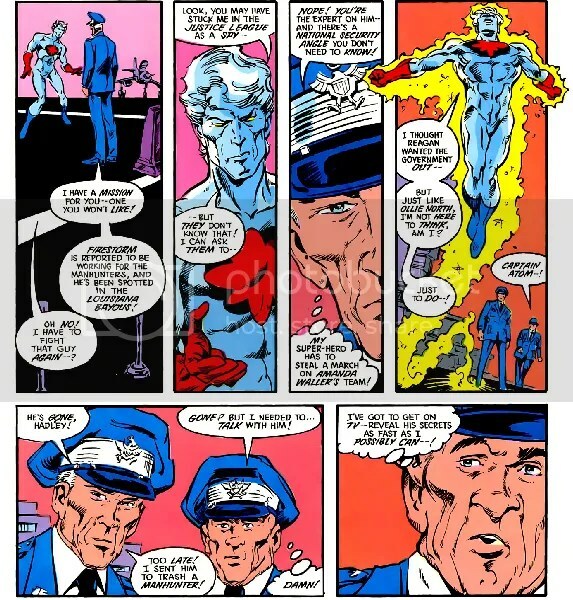 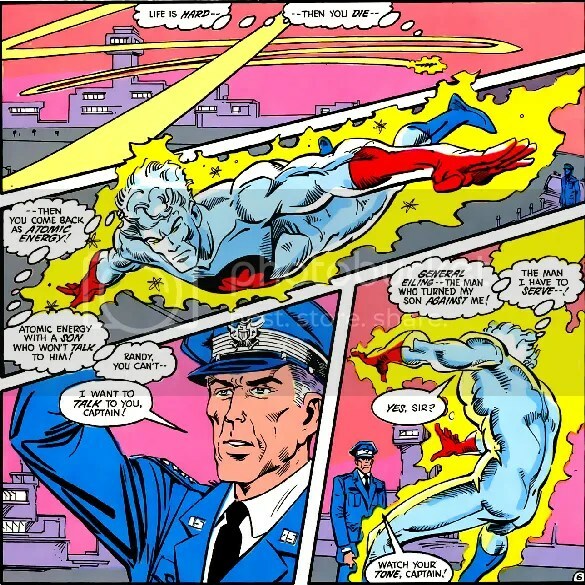 Captain Atom and all related characters are ©DC Comics, Inc.